It is the spring of 1862 and the Civil War is at a stalemate in the east. The Confederate Army, victorious at Bull Run, sits watching warily across the Potomac at McClellans 100,000 plus troops train and prepare for the coming campaign season. McClellan is being spurred by politicians and press to use the army he has molded for operations besides drill. McClellan launches a bold flanking maneuver, taking his juggernaut by boat to the tip of the Virginia Peninsula at Fort Monroe. He slowly moves westward towards Richmond. This forces Johnston to react and fight or lose Richmond. The battles at Williamsburg, Fair Oaks, Savage Station, Mechanicsville, Gaines Mill, White Oak Swamp, and Malvern Hill will forever be seared into the memories of the participants. 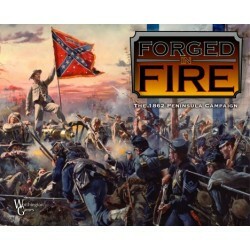 It is here that the Army of Northern Virginia and the Army of the Potomac will be forged in the fire of battle. 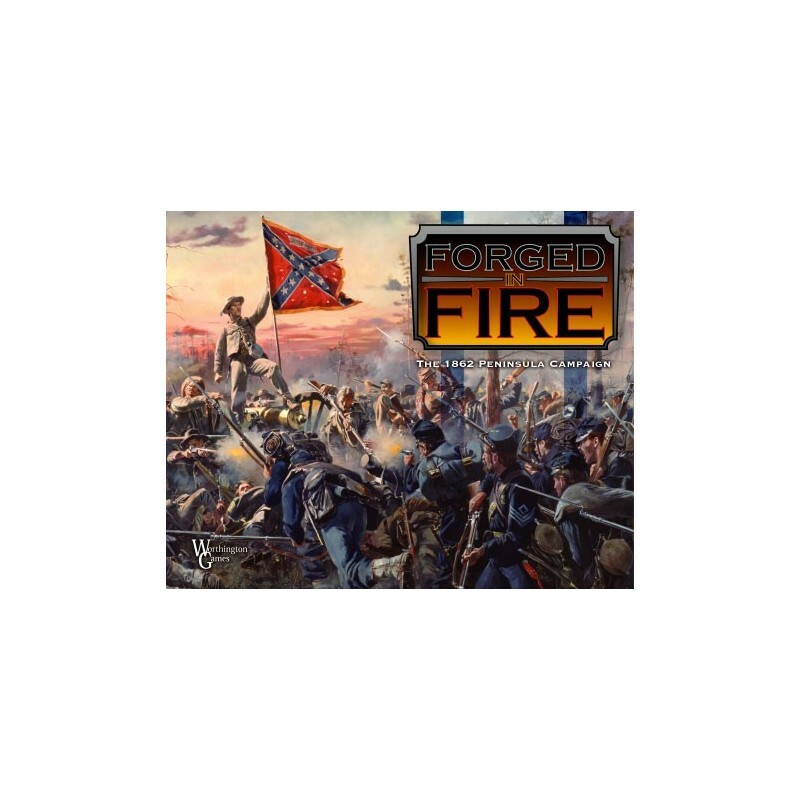 Forged In Fire is Worthington Games strategic level block game covering this campaign which should have and could have ended the Civil War three years earlier. The game features a mapboard displaying from the Virginia Peninsula to Richmond. It gives players the opportunity to fight the full campaign from McClellans advance to the emergence of Lee. 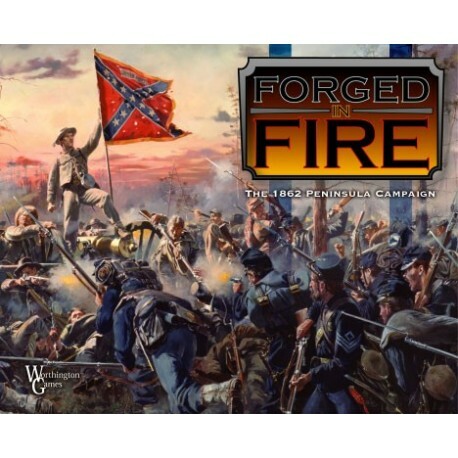 The game includes the complete Peninsula Campaign as well as three scenarios: the Union advance from Fort Monroe to the Chickahominy River, Johnston's attack at Fair Oaks, and the emergence of Lee during the Seven Day's Battles. This game includes map, hardwood counters, labels, rules, dice, and necessary player aids.